We spend at least a third of our lives asleep, so it stands to reason that investing in a good bed is as important as brushing your teeth or eating your greens! With that in mind, we thought we would share our favourite bed and mattress supplier. There is nothing like experience, and with over 27 years in the world of interiors, we’ve had plenty of time to search out the perfect bed. Hypnos quite simply guarantees the best nights sleep and we can verify that. We were thrilled to be invited to the Hypnos factory recently and it’s an incredible operation. Situated just outside London, they make over 2,000 of their famous beds a week at this factory alone! Here’s what we learnt about this heritage brand who have held the prestigious royal warrant since 1929. We are proud to have been working with this British family run business for many years now. Made sustainably, British through and through and as comfy as you can imagine, we have never had a client complain about the beds we have delivered to them. In fact, many tell us it's the comfiest nights sleep they have ever had! Hypnos are famous for their handcrafted deep pocket spring beds, and through years of scientific research have created a mattress to suit everyone. Their secret? Their signature ‘intelligent pocket spring system’. It’s not about the spring count but the number of turns on each spring, combined with their generous fillings and built-in memory. No wonder they have the Royal seal of approval! Hypnos are the first British bed and mattress manufacturer to become carbon neutral! They only use the finest natural materials renowned for regulating body temperature, and their beds are 100% recyclable. Contact them to see how they can assist in recycling your old Hypnos bed and mattress rather than sending it to landfill. There are around 200 people working at the factory and each one is trained in a specific area using time-honoured skills that have been passed down through generations. 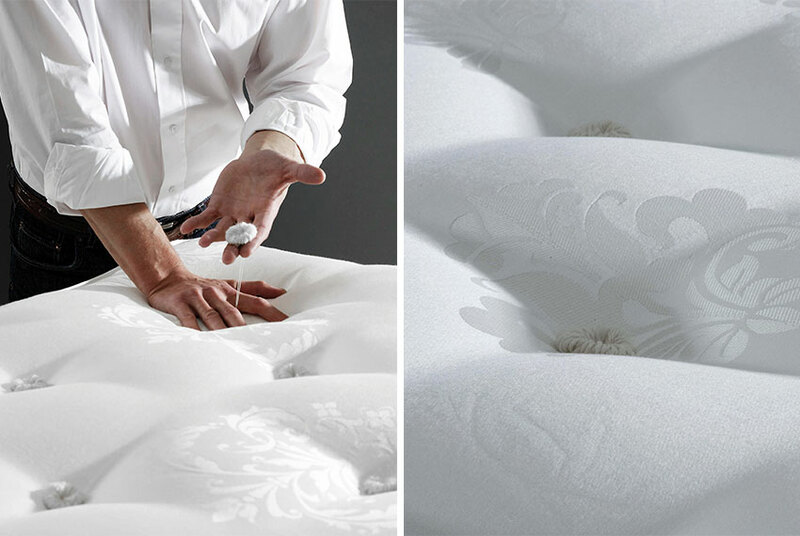 They treat every mattress as a bespoke creation, working by hand to ensure quality and attention to detail. Our designers tried hand-stitching a mattress themselves, and we can assure that it is far from easy! Our favourite part of the visit, as well as testing all the new beds in the showroom, was of course looking through all their new fabrics. Some of the new bed designs also include a safe which is concealed in the divan base and an extra long storage drawer for larger items. 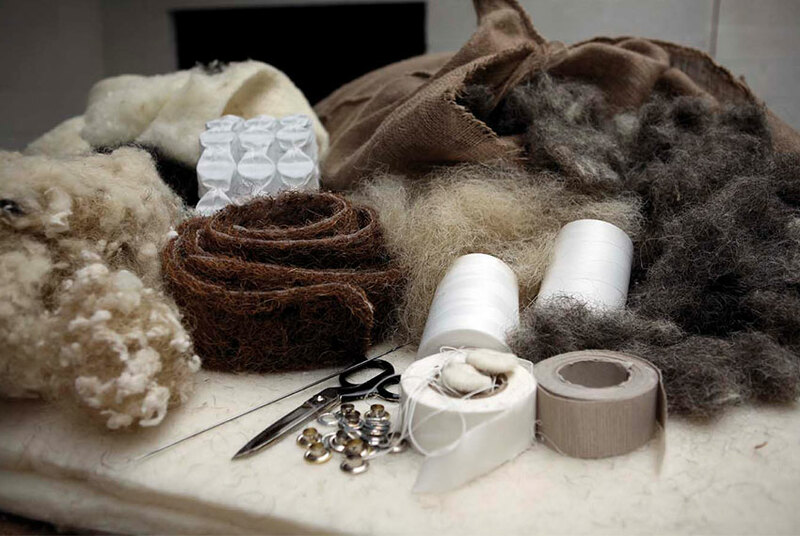 For real luxury, Hypnos can produce bespoke sizes and shapes and work with materials supplied by us.